one year, I heard Terry Francis and that was a wrap for me. I had found my calling in life and connected with a purpose that was more honest and meaningful for me personally. Terry Francis became my hero and his music made me change course in my life from wanting to become an investment banker to wanting to make music and perform. The percussion used in his tracks, the funk elements, the grooves all seemed to speak to me. 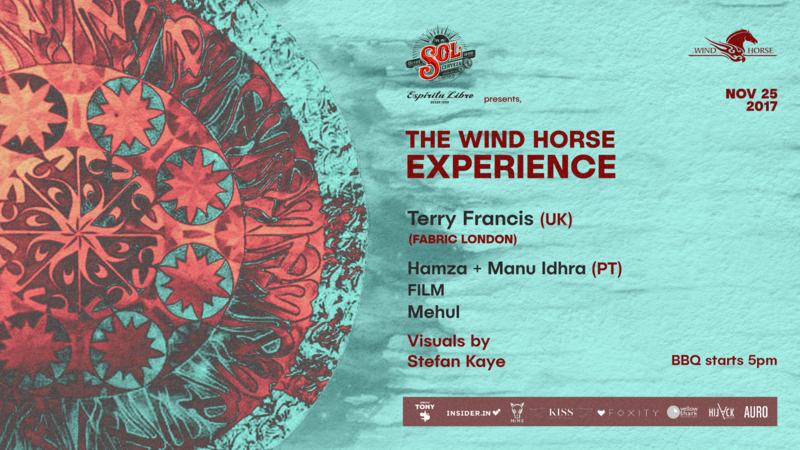 Since 2003 I have followed this legend and today it is indeed an honour to host him along with Manu Idhra, FILM and Mehul for our first label showcase “The Wind Horse Experience” in New Delhi. 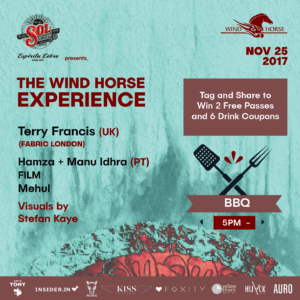 We have been running Wind Horse Records (India’s first House music label) since 2009 and now its time to take control of the whole experience in terms of sound, decor, programming and vibe. 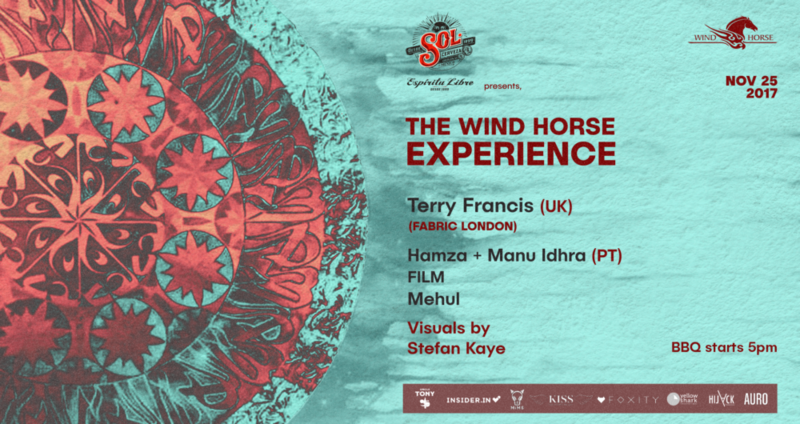 We were waiting all these years for people to catch up to us, but now this is our moment and what better moment than to invite Terry Francis to give us a taste of Fabric in our very own city!